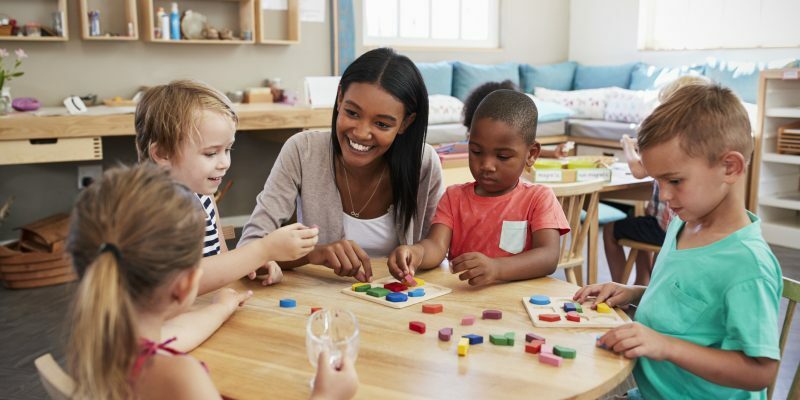 The Louisiana’s Early Childhood Care and Education Commission has produced a draft report suggesting that the state spend an initial $85.8 million on early childhood education programs for children under age three. The plan also proposes spending the same amount over a 10-year-period. State tax dollars would fund the initial $85.5 million and local, state, federal and philanthropic money would cover the rest. Taxpayer funding includes from traditional taxes, lottery proceeds, and tobacco settlement money, and tax credits would also be made available. Republicans state legislators, Rep. Stephanie Hilferty and Sen. Beth Mizell, co-chair the commission, which includes voting and non-voting members. Members on the committee include legislators and government officials, education experts and stakeholders, and Gov. John Bel Edwards’ wife, Donna Edwards, a former teacher. According to the report, there are 173,000 children age 3 and younger in Louisiana who would benefit from the committee’s proposal. These children come from low-income families who live at 200 percent or less of the federal poverty level, or report an income of $20,780 per year per family of three. The report points to research that indicates every dollar spent on early childcare education yields a $7.30 return on investment. It also points to data that shows children who participate in high-quality early care and education programs are less likely to later drop out of school, need special education, repeat a grade, or express behavioral problems that lead to involvement with the criminal justice system. Gov. John Bel Edwards listed increased education funding as part of his 2019 agenda.